RTL Today - Mobility: New and improved vel'OH! 2.0 is finally here! New and improved vel'OH! 2.0 is finally here! The vel'OH! bike rental system has been updated and revamped to include bicycles with an electric motor. This will make uphill routes less strenuous and quicker. But why change a successful and popular system? Since vel'OH! was introduced 10 years ago, a lot has changed. To account for this, the city of Luxembourg decided to add e-bikes to their fleet of vel'OH!s. 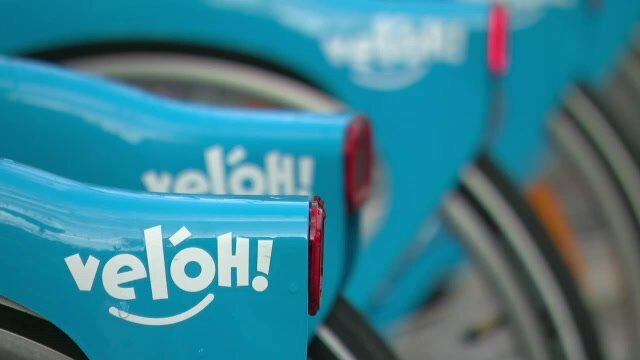 The new and improved bikes hide another secret: They have also been updated to include a phone charger system, so that people can charge their phones on the go. The old system will be phased out by the end of 2019. In 2008, the year the system was first introduced, there were a mere 25 stations located across Luxembourg City. The number of stations is set to increase to almost four times the initial amount, with 94 aimed for completion before the start of the new year, that would mean a total of 860 bikes. To ensure the bikes are as safe as possible, they are restricted not to exceed 25 km/h even going full throttle. Up to that speed, cyclists will be 'helped' by the electric engine, the engine will automatically slow the bike down should someone feel the need for speed. The throttle restrictions had to be installed so as to make the bikes compliant with safety regulation laws.